Hello, I am a farmer in Thailand. 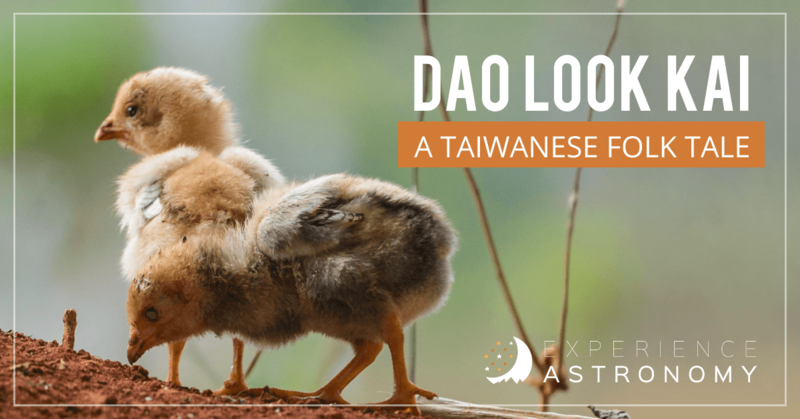 You might have heard of a group of stars in the night sky where you live—we call it the Dao Look Kai. I have heard there are a lot of different stories about this cluster, but if I told you all the different stories, we would be here a while. I am going to tell you the story the people in Thailand and myself share when we look up and see this cluster of stars. This cluster is about a farmer and his wife and a monk traveling through the forest. One day the monk camped near the farmer’s house, and they became very worried because they had to give the monk some food. (Monks did not eat after noon, just as they still do.) So, after discussing it, the farmer and his wife, decided that the best they could give the monk was their only hen. The hen overheard this and was very sad. She gathered her chicks and then told them to look after themselves. Early the next morning, the farmer came out and killed the hen. 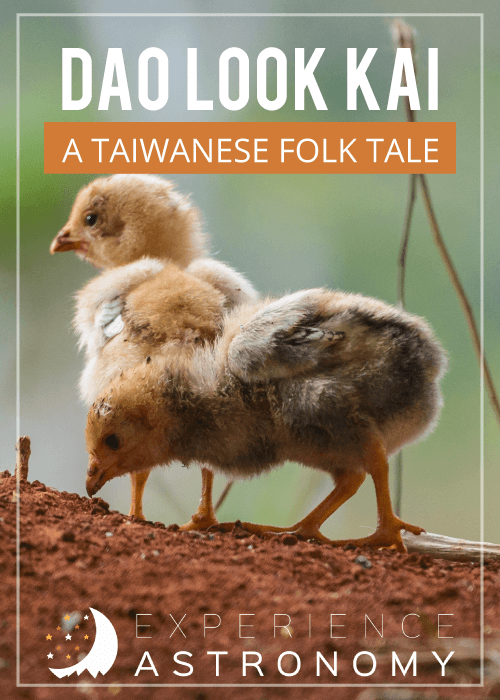 While the farmer was cooking the hen to give to the monk, the chicks threw themselves in the fire so they could be with their mother forever. That’s what created the Dao Look Kai. Do you want to know the location of the cluster? It is in the Southern part of the sky near Taurus the Bull and Orion. Look for the third star to the right in Orion’s Belt. Then, follow that star to the bright star, Aldebran, in Taurus. Then continue up to the right to a cluster of stars we call Dao Look Kai. This cluster can be seen in any part of the world, including the North Pole and even the southern tip of South Africa. In the Northern Hemisphere, it is most commonly seen in the winter season, which extends all the way to April. When you step out at night, take a look into the sky and remember this Thailand tale of Dao Look Kai—most commonly know as the Seven Sisters. This article was written by Isaiah, age 13, an Experience Astronomy student from Shawano, Wisconsin.